Since living in Japan I've learned that the life here can be kind of pricy compared to my home country. Especially simple things like furniture and clothes cost way more and last for a shorter time than I'm used to. I'm also a huge fan of second hand stuff. It's good for the environment and I like the thinking of giving stuff a second chance. You can find many second hand products in Japan at stores like Hard Off, Second Street or smaller 'recycle stores.' 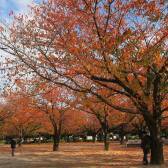 There are also plenty of online flea market or 'sayonara sales' groups where you can often find a good deal. Especially at Hard Off I've found many clothes which were still new with the original price tag. Since many people in Japan love shopping, especially sale shopping, you can often find those items at second hand stores. My husband is the best example. He loves to go to sales but in the end he never wore the stuff he is buying. Kind of weird, but that's the way it is. Also, being very tall for a woman in Japan it is kind of difficult to find clothes for me. Second hand stores are a paradise then especially as you can often find American or European brands there. If you don't buy brand clothes, you can find good deals from 100 yen up to 500 yen. Very reasonable, isn't? I also like to donate my old clothes to them. I know they just want to earn some money, but it is kind of difficult in Japan to donate clothes without much effort. 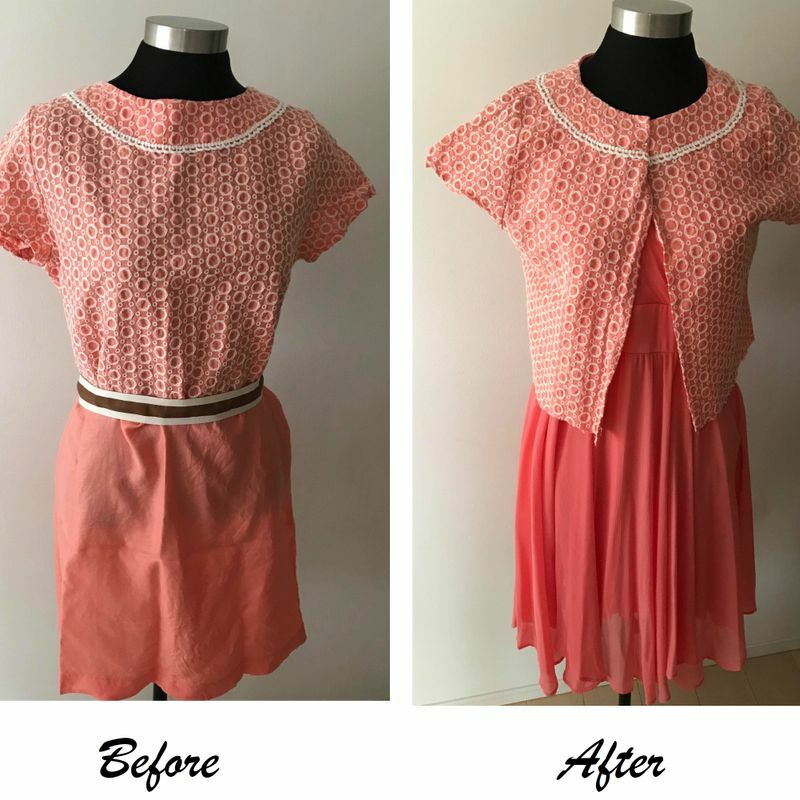 If you are a fashion junkie like me and like to wear some trendy clothes, how about making them by yourself? I often buy second hand clothes and change their style. You don't need to be perfect at sewing. Sometimes just a few handfuls are enough. I bought this dress for only 100 yen. It was a very huge size and kind of old fashioned, but I loved the fabric so much, that I wanted to change it to something new. The same goes for furniture. Nowadays you can find very reasonable second hand furniture in Japan. Often they don't look that nice anymore but if you are creative, you can easily pimp them up. I've found this small kids commode at a flea market. It belonged to a kid who didn't need it anymore. 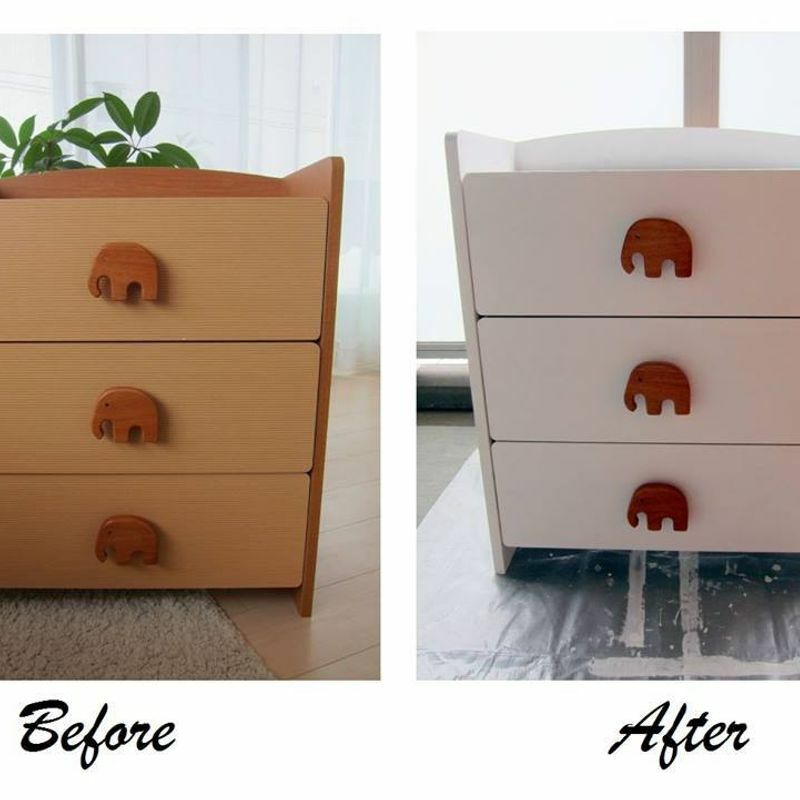 I loved the elephant knobs and decided to buy it for just 500 yen. Since the color was not that nice and didn't fit to all my other white furniture I decided to paint it with special furniture color. Now it looks way better than before and many people think it is new. I've also bought a small couch stool for just 100 yen. The pillow cover had a small cut, but that was the only damage. I just sewed a new cover for it and now it looks totally fine. I use the couch stool every day now. Although many Japanese people do not like second hand stuff, there are more and more people like me, who make something new out of old items. One of my friends opened a café only with second hand furniture. It looks very cool and has its own charm now. Second hand stores are also perfect if you need kitchenware for your apartment. Especially if you just moved in, it can get very expensive when you have to buy all new items. Many recommend just buying some cups at plates at the 100 shops, but actually this is not always the cheapest and also the 100 yen glassware can break very fast (at least in my case). Second hand stores have many kitchenware items for a good price. 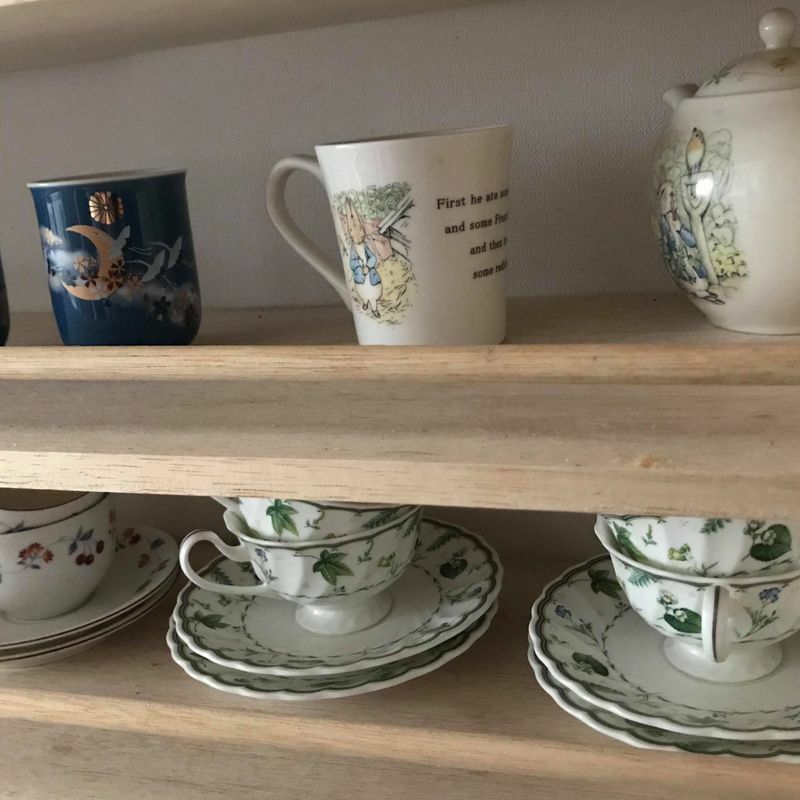 Most of my plates and cups at home are second hand. I've made so many good deals, like 5 plates for 200 yen, that I've become very addicted to buying kitchenware at such stores! How about you? Do you donate or recycle stuff in Japan? Awesome! I’m a Reuse and recycle girl! I just haven’t had much opportunity to delve into the places where I can find stuff. Maybe I need to find a friend who enjoys these things too. I too noticed that locals do not like used stuff... they even seem to look down on discounted items. But... different strokes for different folks! @Candiajia1 Haha we will be a perfect match then! My husband just wanted to throw away last week the small wooden chair we use in out bathroom because of some mold. I just cut it, put some paint and use it now in my garden, when I plant someting new. It is also a nice decoration for putting flowers on it. No waste of staff which you can still use for something is my motto. Slowly my family is also thinking my way.